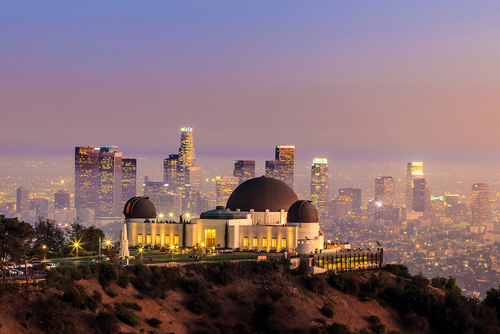 LA is known for being the entertainment capital of the world. 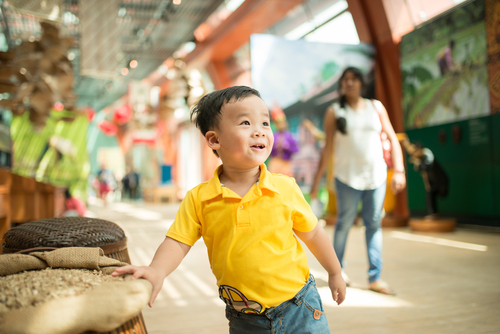 Although Los Angeles isn’t frequently touted as a kid-friendly destination, there’s actually a wealth of activities that the little ones can enjoy. Culture and the arts reign supreme here, but there’s also a great variety of theme parks throughout the area. Kid-friendly Los Angeles? Easy. Looking for family friendly places to stay, too? We got you covered. There’s an abundance of museums targeted toward children in Los Angeles, so it may be hard to choose which ones to go to. Two stand out among the wide range of options: La Brea Tar Pits & Museum and Discovery Cube Los Angeles. Among La Brea’s many exciting features is the fact that this museum includes the only currently active ice age excavation site. Kids can see first hand paleontologists digging up and sorting fossils, including a Naegele’s giant jaguar. The museum is also home to a million fossils from over 600 species. Families can also visit the Fossil Lab, where they can get a behind the scenes look at fossil preservation. The Cube is a wonderful place for children to spend the day learning about the natural world through interactive exhibits and presentations. Exhibits include the Planetary Research Station, a 3D movie theater and a helicopter simulator that takes kids from the heart of Los Angeles through California’s most recognizable landmarks. When you’ve learned all you can, head to Beansprouts, the onsite cafe for a healthy selection of food that will fill up both parents and the little ones. California is known to have several excellent theme parks, and Los Angeles is no exception. Whether you want to go all out at Disneyland, make awesome creations at Legoland or enjoy some traditional theme park fun at Knott’s Berry Farm, there’s a theme park adventure perfect for your family in the City of Angels. Even the family friendly places to stay in Los Angeles are nearby these parks. The Disneyland resort and park located just outside LA in Anaheim, California offers up the magic of Disney and all the fun of a state-of-the-art theme park. It’s really the pinnacle of kid-friendly vacations in Los Angeles. Here, your kids can meet and greet their favorite Disney characters (including Elsa and Anna) and go on exciting rides like Haunted Mansion Holiday ride, King Arthur’s Carousel and Mark Twain’s Riverboat. For a really fun time without the Disneyland price tag, get some tickets to Knott’s Berry Farm. Knott’s Berry Farm started out as an actual farm in the 1920s. The farm’s claim to fame was the boysenberry, a sweet berry variety popularized by the Knotts. As the farm and adjacent diner grew, the attractions that later became an amusement park grew around it. But despite its humble beginnings, this theme park doesn’t skimp out on rides. 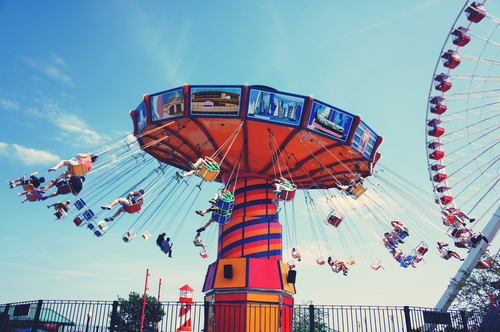 Little kids will enjoy easy-going thrills on the Huff and Puff and Pig Pen’s Mud Buggies while teenagers (and let’s face it, parents) will enjoy thrill rides like the HangTime, the state’s only dive coaster. 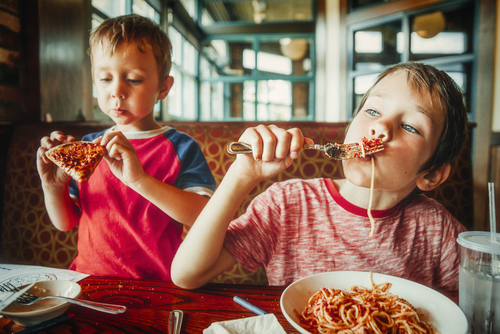 Travelling with kids should be primarily about having fun, but that doesn’t mean parents can’t get away with exposing them to a little culture. That’s easy when travelling to a diverse hub like LA. The only hard part: choosing the best options! Griffith J. Griffith (yep, that was his name) believed that gazing at the stars could change your entire perspective on life. Since its opening in 1935, the Griffith observatory has continued to work on this mission to make astronomy accessible to the general public. 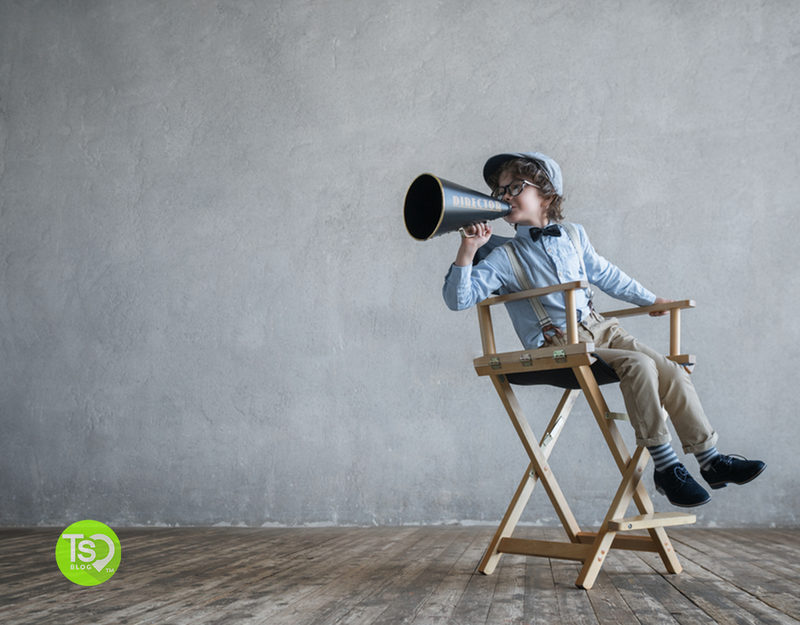 The kids will love the Samuel Oschin Planetarium, which is home to the most state-of-the-art projection system available, Inside of the Ahmanson Hall of the Sky, there are also a variety of exhibits including a fascinating video installation of a live view of the sun. The Getty might be on your cultural bucket list, but there’s no reason your kids can’t go, too. The Getty staff actually goes out of their way to cater to the little people among you. The first kid friendly stop: a “family room” that’s filled with a soft, room-sized daybed and books for learning. Outside, kids will enjoy strolling through the Getty Museum’s gardens and then visiting the Getty Villa, a building which house’s the Getty’s art of the ancient world collection. Enjoying local cuisine is an integral part of any vacation, even when travelling with the smallest members of your family. Luckily, LA offers plenty of options specifically designed for your kids’ enjoyment. There are tons of options, but here are two that balance grown-up and childhood fun perfectly. Medieval Times is a dark ages themed dinner show perfect for kids and parents. Sure, it’s kitschy and involves eating with your hands, but the kids are sure to love it. Cheer for your favorite knight, then enjoy the meal, which consists of roast chicken, corn on the cob and tomato soup. The Lemon Tree Cafe was designed to make kids comfortable and ensure that everyone has a great time. Not only does their menu offer kids and parents plenty of delicious but healthy options, it also features a 2,000 square foot playground. The menu primarily focuses on pastas, salads and pizza, but for the adventurous kiddos, they also offer a selection of Korean cuisine including bulgogi marinated beef. Kid-friendly Los Angeles? Is it possible to find the perfect place to stay that’s family friendly and meets all of your expectations? Luckily, LA is a huge city with options for everyone. 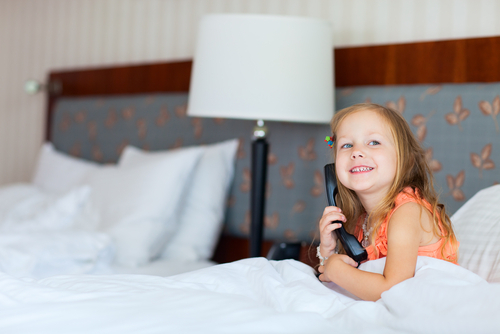 You’d be surprised at just how many family friendly places to stay in there actually is. In these resorts, families and large parties with little ones can stretch out comfortably. Timeshare resorts make the best accommodations that make vacationing that much better. Full kitchens, washers and dryers, as well as multiple bedrooms give everyone privacy and space for that much needed time away from the kids (even if it’s just a second). 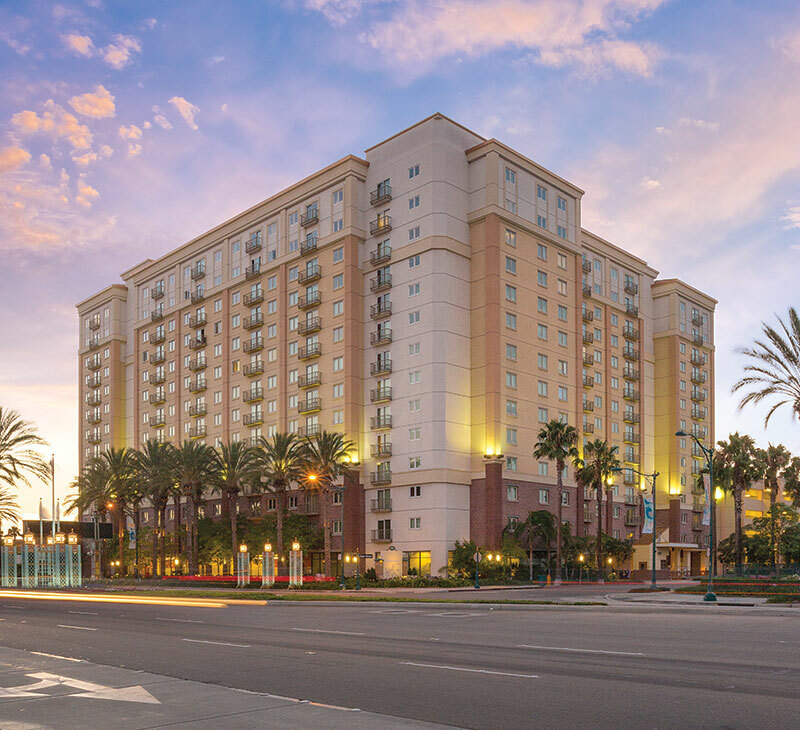 Only a half mile away from the family friendly hub of California – Disneyland – WorldMark Anaheim brings the family together while skipping the hefty price tag of a DVC resort. Guests even get great views of the nightly fireworks, so you don’t have to fight the crowds. It’s also nearby the Knott’s Berry Farm. Getting to everything on your kid-friendly Los Angeles trip will be a breeze here. And, enjoy the swimming pools, outdoor spas and other great amenities. Urban city meets cozy beaches when you stay at Wyndham Oceanside Pier Resort. 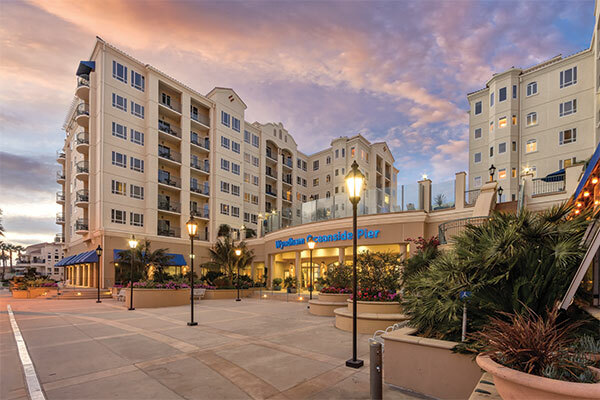 Located just past Laguna Beach on the Pacific Coast, this seven-story resort complex is adjacent to all the shops, restaurants and entertainment at Oceanside Municipal Pier. Take a day trip out to the city and come “home” to plenty of space to relax in. Of course, units are complete with full kitchens, living and dining space, as well as washers/dryers, making it one of the most family friendly places to stay in Los Angeles.